Sometimes we fans forget that our beautiful and joyous game has a harsh and unforgiving side. We forget the immense physical ordeal players put their bodies through to stay fit and at their peak all year, every year. Maybe it’s because we have an image of them being too well-looked after to have something permanently wrong, or it’s because we see them for only 90 minutes once or twice a week and don’t see the pain of training and trauma of injury. Either way, football players aren’t viewed like the rest of us mere mortals, they are invincible, sculpted athletes. As kids, role models aren’t allowed to be fallible and as adults, how dare they have that amount in the bank and not have bionic limbs. But sometimes we are reminded that they are indeed human, and we often share the most important things in life, such as your own health. That was the case for perhaps the most gifted Dutch striker to ever grace not just the Italian league, but the world. Marco Van Basten (born Marcel oddly enough), grew up in the Dutch city of Utrecht. Not surprisingly for a boy of his talent, young Marco flew up the ranks of his local teams before Ajax picked up the rising star in 1981, aged 17. At a time when competition was fierce for the centre-forward spot at Ajax, Van Basten made sure he took the opportunity, scoring on his debut against NEC. When his main competitor, Wim Kieft, left for Pisa in 1983, the stage was set for Van Basten to shine. True to his future career, when Marco was presented with this opportunity he took it in clinical style. In a time where anything more than a goal every two games was in the conversation of ‘world class’, 19-year-old Van Basten scored 28 goals in 26 games. Having absolutely no respect for the records of previous footballing legends, he then scored 37 in 26 in the 1985-86 season. With a goal-scoring ratio matched not even by Messi and Ronaldo, it really is a wonder how no-one managed to prise the Dutchman away from Ajax for six years. That was until Silvio Berlusconi’s AC Milan knocked on the door in 1987. At the time the Italian giants were top-dogs of world football, forerunners to today’s ‘super-clubs’. With the irresistible combination of the charismatic Berlusconi and managerial royalty in Arrigo Sacchi, Van Basten arrived just a year before Ruud Gullit and Frank Rijkaard, forming a famous Dutch trio. 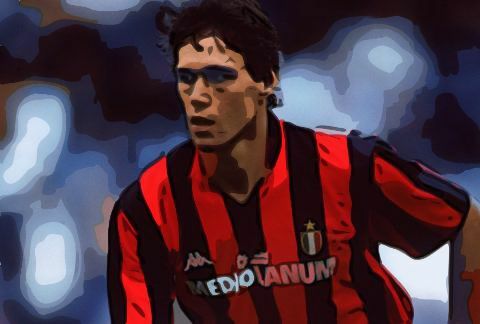 An injury-hit first year in Italy was a sign of unfortunate things to come, but with the arrivals of his countrymen, Van Basten went on to have arguably the best club season of his career. He scored 19 goals as AC Milan finished third in Serie A, but shone in the European Cup, scoring four times in a first-round game and scoring a double in the final as Milan thrashed Steaua Bucharest 4-0. His record by the end of the season was 33 goals in 47 games in all competitions, and his efforts were rewarded with the Ballon d’Or in 1988. Before his career was cut short, Van Basten was undoubtedly up there with the best players in the world. He was a complete striker in every sense. Height, clinical finishing, strength, composure, sharp, agile, acrobatic, we simply don’t have time to go through the adjectives necessary to describe all the skills in his locker. He could score every type of goal, but loved a worldie. No goals sum this up more than his volley from an impossible angle in Euro ’88. His tactical intelligence to lose a defender and score first-time was one of the many strengths to his game, but this was taken up a level in his wonder goal. If, for some reason, you haven’t seen one of the best volleys of all-time, check it out below. 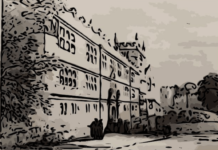 The graceful yet clinical finishing typified his nickname during his playing career: “The Swan of Utrecht”. His international career was full of moments of brilliance, but the Dutch side he was a part of never sustained their brilliance at a World Cup. After winning Euro ’88, Van Basten’s side were knocked out of the 1990 World Cup at the second round. Their fortunes were a bit better at Euro ’92, reaching the semi-final, but a small regret of the great man’s career is that we never saw him score at a World Cup. At club level, he continued to excel, winning both the Ballon d’Or and the Serie A title three times, as well as two European Cups as part of one of the greatest club sides in history. However, persistent knee and ankle injuries worsened his thirties neared, and at 28, Van Basten’s glittering career was cut short as he played his last game for Milan. He battled on for two more seasons but never played a game, finally admitting defeat against his own limbs and retired at the end of the 1994-95 season, aged 31.
Who knows what more Van Basten could have achieved had he played into his mid-thirties as more of a target man. Certainly, more domestic and European trophies would have came his way and potentially another Ballon d’Or would have cemented his place as an all-time great. Still, a lesson we learn from the Dutchman is that instead of constantly comparing every player to the last detail, we should sit back, and simply glory at great athletes in their prime while we can.